The NEC MultiSync PA242W is a premium monitor targeted squarely at photographers, videographers and other imaging professionals who require the most accurate colour. The 24-inch wide PA242W monitor is individually colour calibrated at the factory and comes equipped with a cutting edge GB-R LED-backlight, advanced AH-IPS LCD panel with a resolution of 1920x1200 pixels, 1000:1 contrast ratio and 340 cd/m² brightness. Importantly for photographers, the NEC PA242W offers 100% coverage of the sRGB color gamut and 99.3% of Adobe RGB, with the supplied SpectraViewII Color Calibration Solution helping to achieve accurate colour performance. 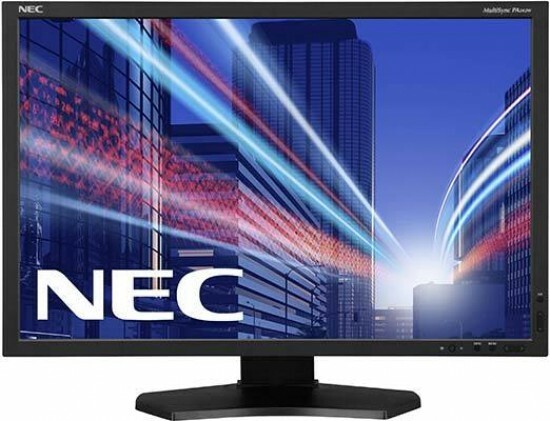 In the USA, the NEC MultiSync PA242W monitor costs $1099.99, and in the UK it retails for £949.99. 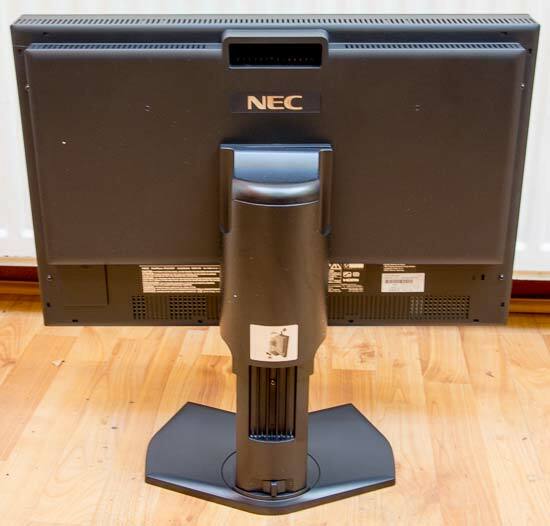 In terms of its looks, the NEC MultiSync PA242W is definitely a practical rather than stylish monitor, with a bulky and heavy design that places the emphasis firmly on getting the job done. 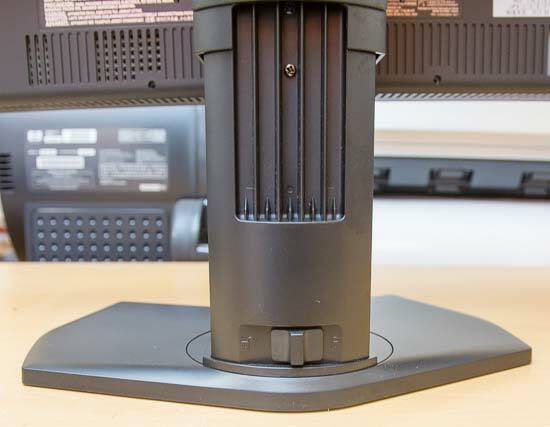 For example, there's a built-in handle at the top that makes it easy to move the PA242W, and it already comes pre-assembled in the box, unlike most monitors that you have to put together. The stand is height adjustable, with a lockable switch ensuring that it stays in place, and it can be placed in either a landscape or portrait orientation. The 24-inch display boasts a resolution of 1920x1200 pixels, making it well suited to running multiple programs and windows side-by-side. 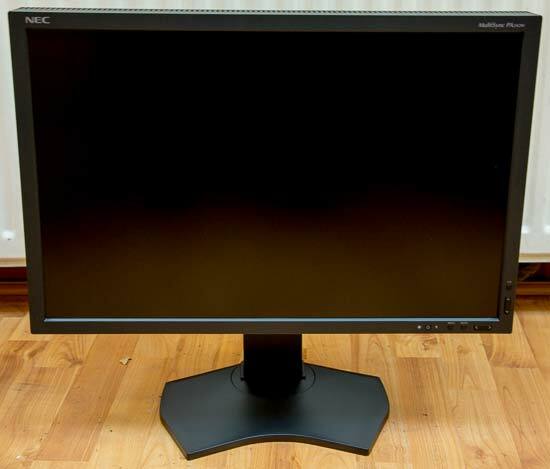 The NEC MultiSync PA242W has a matt display, rather than a more distracting glossy display, which makes it much better suited to life as a a photographer's monitor. In a market where glossy displays are very much in the majority, it's nice to see a matt monitor being released. 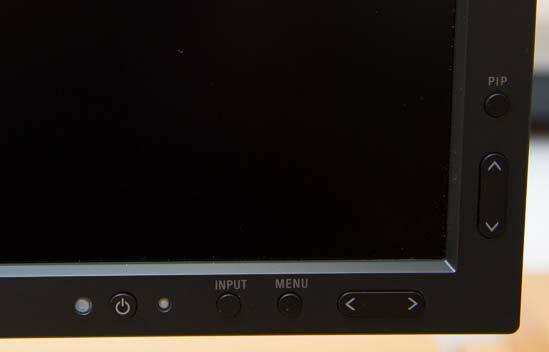 The monitor controls are all located at the bottom-right corner of the monitor, with an array of 6 buttons for turning on and controlling the monitor's configuration. There are five different monitor presets - Adobe RGB, sRGB, High Bright, Cinema, Full and DCI (digital cinema) - plus Brightness, Contrast, ECO Mode and Black controls. You can also adjust the white temperature and adjust hue, saturation, and offset levels for the six colors (red, green, blue, yellow, cyan, magenta). 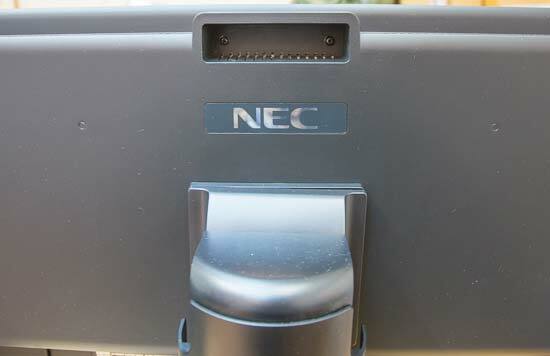 The NEC MultiSync PA242W can be connected with 10-bit DisplayPort, HDMI, DVI-D or VGA. There's also a built-in 2 up / 3 down USB hub with DisplaySync Pro, although it's USB 2.0 rather than the faster USB 3.0 standard. You can use the PA242W to control two computers with only one keyboard and mouse via the upstream USB ports. 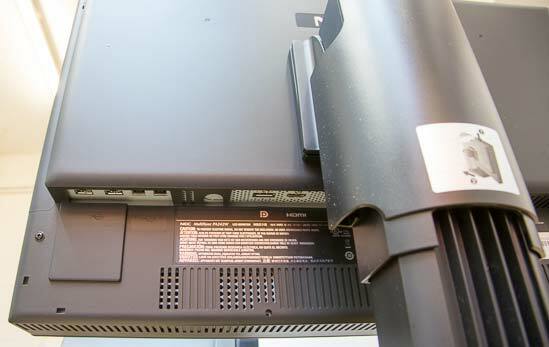 All of the ports are located on the rear of the monitor which makes them a little difficult to access. The PA242W is supplied with two DisplayPort cables, a DVI cable, an upstream USB cable, setup guide and a CD containing a user manual, drivers, and the NEC MultiProfiler software, a handy utility that automatically generates an ICC profile. We calibrated the NEC MultiSync PA242W with the Datacolor Spyder4 Elite, a mid-range calibration device. The before and after results showed very little difference, which indicates that the factory calibration is accurate and the built-in SpectraViewII Color Calibration Solution works well. The Spyder4 Elite results also confirmed that the NEC MultiSync PA242W covered 100% of the sRGB colour gamut and 99% of AdobeRGB, making it extremely well suited to life as a photographer's monitor.